Lovely photos of a beautiful-looking place. When I saw your first photo, my heart did a bit of a flip though! The house looks very much like Gayhurst House, near Newport Pagnell, where I lived for a while. I guess that was the Jacobean architectural style, but I’ve never seen another house like that. I’ve just looked Gayhurst House up as I had not heard of it before, the architecture is very similar. There was only one modification apparently after Kent’s remodelling at Rousham but much later in in Victorian 1876, and I’ve just read Tudor, Elizabethan and Queen Anne, with Victorian additions for Gayhurst too. I wonder if in some way Kent’s remodelling at Rousham was influenced by a visit to Gayhurst? Maybe a bright history boffin will know the answer! Wouldn’t that be interesting to know! I wrote a post about Gayhurst ages ago and still get people with a connection to the place commenting. It was as school at one stage and a couple of former students have shared really fascinating information about tunnels under the buildings. It was a wonderful place to live (although very difficult with a newborn, which is why we moved). Su, I have just found and read your post about Gayhurst, you have a great gift with words. I really enjoyed reading about your time there. Olney is a beautiful place to live too. 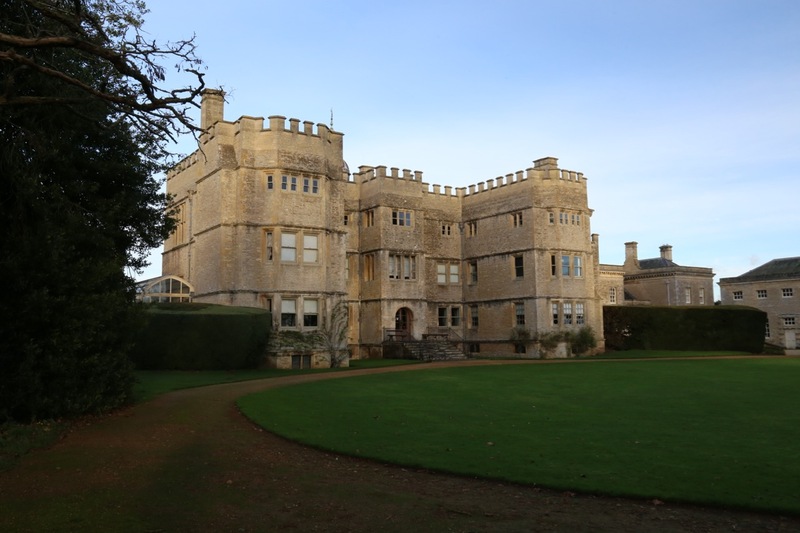 We’ve had so much rain here Laurin, that just getting out and about is a treat but Rousham is very beautiful and very much worth the trip, even in the winter, although wet underfoot we were blessed with some winter sun too. 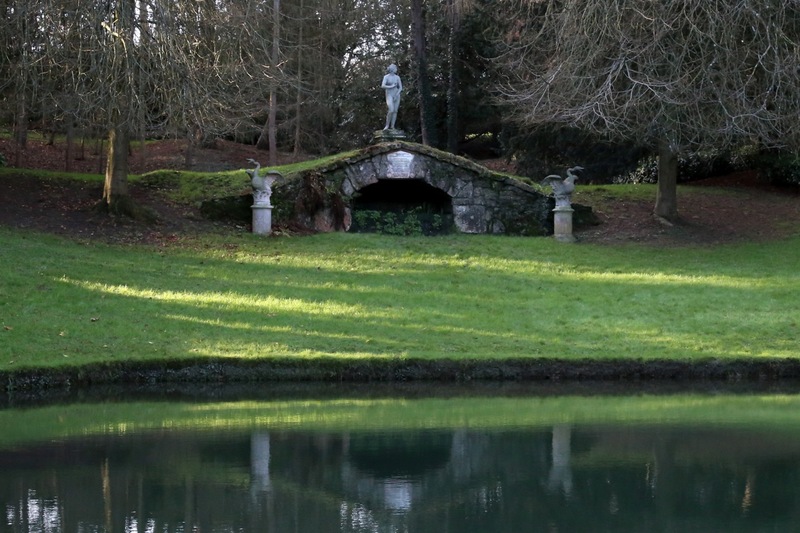 A great piece on a garden I’ve read about a few times, but never visited. What a good time to visit as well, under clear blue skies (dream on), and with few other visitors. But what an inspirational design – particularly the rill, created all those years ago. A bit early for any flowers I suppose? I gather you lucky folk might even have another frost tonight, so do appreciate it! Hi Julian, there is talk of a frost tonight forecast down to 2c here, but thats really only the second or third time this winter, I expect you have a lot of rain, we’ve had a small share of it here too, but not half as much as elsewhere. Last night the top river broke its banks and came across the road, but all subsided now. No flowers at Rousham to speak of, but the beautifully pruned apple trees were spectacular, I had real pruning envy! It seems strange that children aren’t allowed if accompanied by an adult – would certainly put me off visiting a place, though the wall garden and veteran fruit trees looked very interesting. It would have put me off visiting too, we took ours to every garden possible when they were younger even Hampton Court flower show and largely ignored any tut tutting. Rousham has no staff to moderate behaviour or do health and safety stuff so maybe thats why. But both our girls have grown up to appreciate and really love nature and gardens so very glad we took them at every opportunity. This time it was just our dog we left at home. We takes ours with us too and they usually love it. 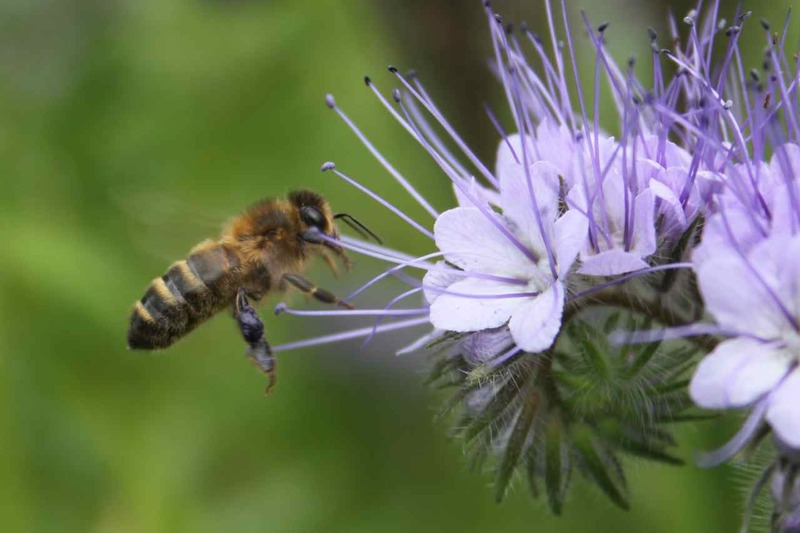 They especially liked the Welsh Botanic Gardens which we visited two years ago now! 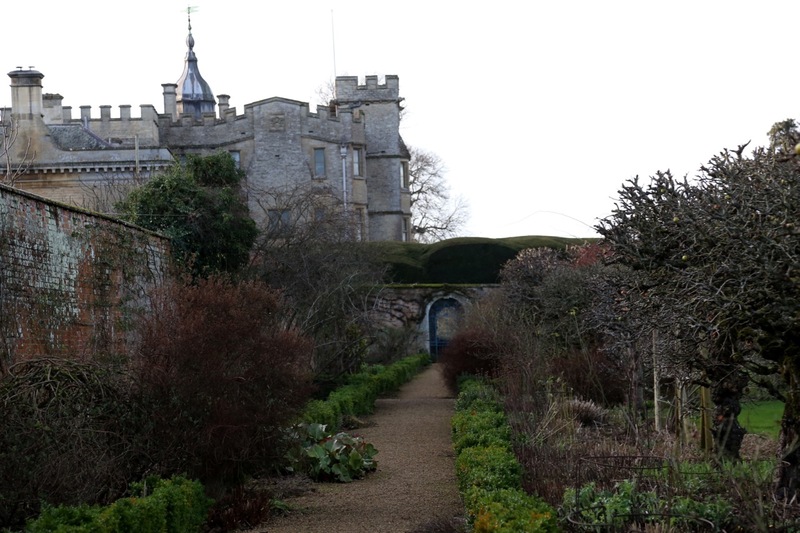 I wish I could show the story of Rousham as well as Monty Don, he has a wonderful way with emotive, enticing words and the video photography was really lovely. 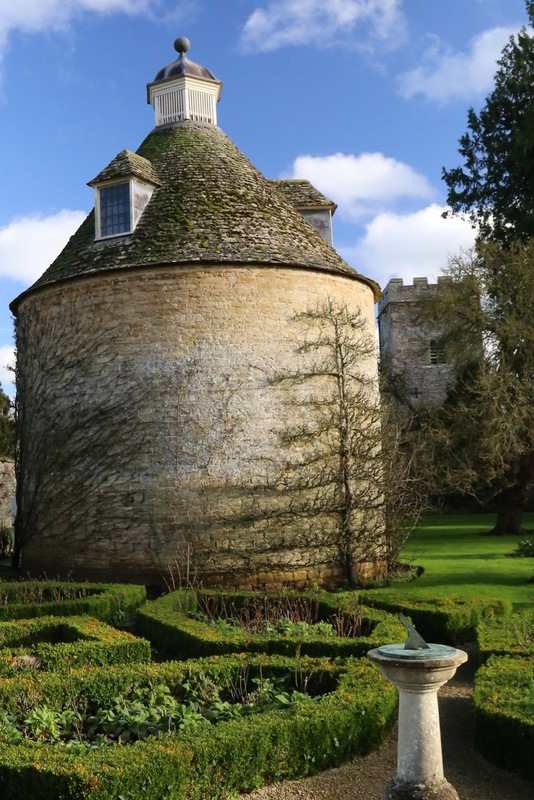 He had included Rousham and Sissinghurst as his top gardens in England for his European Garden series a couple of years ago, but it took to this year to finally visit. I hope we get to visit again to see the borders in their full glory. Thanks for sharing your lovely peaceful visit Julie. It looks fabulous. Peaceful is just the word Gillian, the kind of peace thats uplifting too. What a lovely tour, thank you Julie. Seeing it in winter really shows up the bones of the garden. I would love to visit it in the summer, is it NT? Not NT but its on the Gardeners World Magazine 2 for 1 card, So a visit to Rousham was effectively £2.50 each for us. I’m sure you would like it very much indeed. There are tours booked by prior appointment to the house too. I would never have guessed the rill was anything other than a modern addition. It’s a lovely feature. 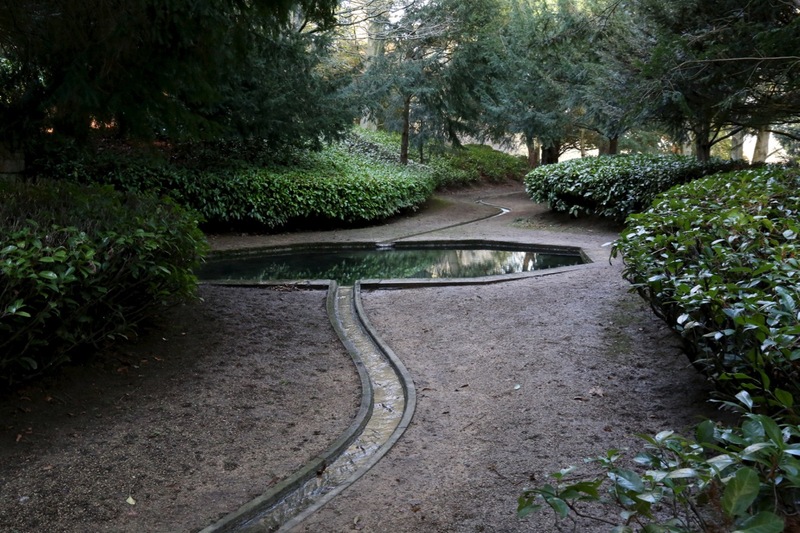 I was very surprised on close inspection to see how modern looking the rill really was, my photo does not do the atmosphere of that area justice, its quite beautiful. Must have been wonderful to have the place to yourselves to explore. The serpentine rill does look very modern. I like that a lot. Its so unusual to visit a garden over here thats uncommercial and was wonderful to have virtually to ourselves. The Serpentine Rill was more beautiful in real life, I forgot to pace it out but maybe 500 yards long too and the light filtering through the trees here made it a really exciting space. Great write up Jules. This is one of my favourite garden places. The atmosphere is unique, as if set in aspic, no where else I have visited is so uncommercial. I understand that under 15s were excluded as earlier visitors had allowed kids to romp around, as they inevitably do and had climbed and damaged one of the statues. What vision Kent had. Oh no, how dreadful, there is such a fine line with opening any house and garden and potential damage from visitors. That must of been really upsetting for the owners and gardeners too. It felt like such a privilege to be in the garden, especially as we were virtually alone and with that comes a lack of inhibition, I can imagine the freedom children would feel in such an environment. It was exciting to visit without being dragged down by other folk and commercial stuff. I can see why its one of your favourites and hoping we get to visit again in Spring. Lovely photos of a beautiful place, Julie. I am getting serious withdrawal symptoms because we haven’t been to visit a house and/or garden for simply ages. Your wonderful tour will allay the pangs for just a while longer. Its harder in winter Clare and this winters rain and sodden ground seems worse than usual. This week, we have been looking for converted railway tracks now paths to walk on, just to have some relief from sliding around in the mud. I am hoping the forecast colder weather will freeze the ground, so we can get back to some of our usual walks. I hope you are able to get back out again soon Clare. Thank-you so much Julie – so do I! Such a lovely estate, so well designed. I esp. like the Serpentine Rill and Pigeon House. How nice, it looks like you had the place to yourselves. What beautiful grounds and garden, Julie. Despite the sodden ground, you took some really lovely photos, every one a storytelling shot that intrigues the mind’s eye. I wish I were with you on that tour – wet ground and all – but this is the next best thing! Thanks very much for sharing. Delightful. I wish you were here too Cynthia, the gardens are very restful but invigorating too, its a cliche but they are an absolute tonic to visit. Lovely description of your visit, I almost felt I was with you so thank you for that; I do miss being able to just go out and find a beautiful garden to visit. I’m very lucky to have Villa Lante close by (so I know I am lucky) but it isn’t the same. I can understand that feeling, we are very fortunate to have so many gardens open to the public here Christina, even in winter. Another blogger explained that a child had climbed onto one of the statues and sadly the statue was damaged. Hence the policy now for no under 15’s. Rousham has a naturalistic uplifting and freeing atmosphere, I think you’d like it very much Amelia, just bring a picnic! A lovely tour thank you Julie. A rill has been on my wish list for some time ( I don’t have room here!) Have you seen the one at the Botanic Garden of Wales, wonderful. 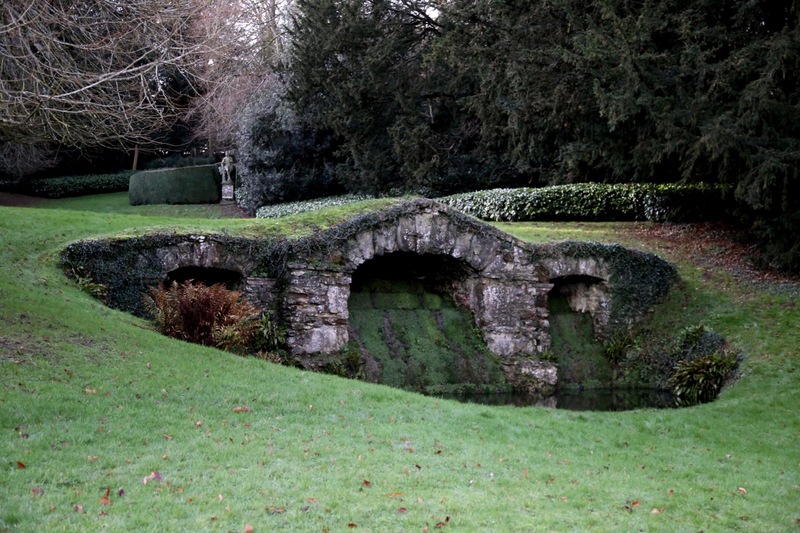 I think Monty Don, in his last gardening programme had Rousham as his favourite garden in the UK. I’ve just googled the Rill at the BGW, my goodness that is similar. We very nearly visited this Autumn but our plans did not work out, we hope to this coming year though. I can understand why MD feels that way about Rousham, its very beautiful. I like the BGW I hope you can get there sometime. The photos are fabulous, I always enjoy seeing different garden designs. This was a really fun enjoyable post. A delightful tour thank you Julie, your words and descriptions bring the garden to life, almost as good as being there. How wonderful to have the place to yourselves to explore, no doubt due in no small part to the ‘no children or dogs’ rule! Most people that venture out to anywhere with grass and open space are usually exercising one or the other. Did you see anybody working on the garden? It looks immaculate! Love the rill and the pigeon house especially. Lovely! Which talks a little about John Clary the Head gardener who transformed Kent’s vision into reality. They report Clary was eventually dismissed in a way that suggests he spoke out of turn for urging the owners to love the Rousham garden more. I’d really like to know more about Clary, he sounded a passionate gardener who put his heart and soul into the project. This was such a lovely tour Julie and you really captured the peaceful atmosphere there so beautifully in your description. It really looks wonderful and it was so nice to see a garden in mid-winter too, because without the distraction of beautiful plantings you can really see the gardens structure and lay out. How lovely too that it seemed as if no-one was there. It’s such a treat these days to go on a garden visit and find it quiet! 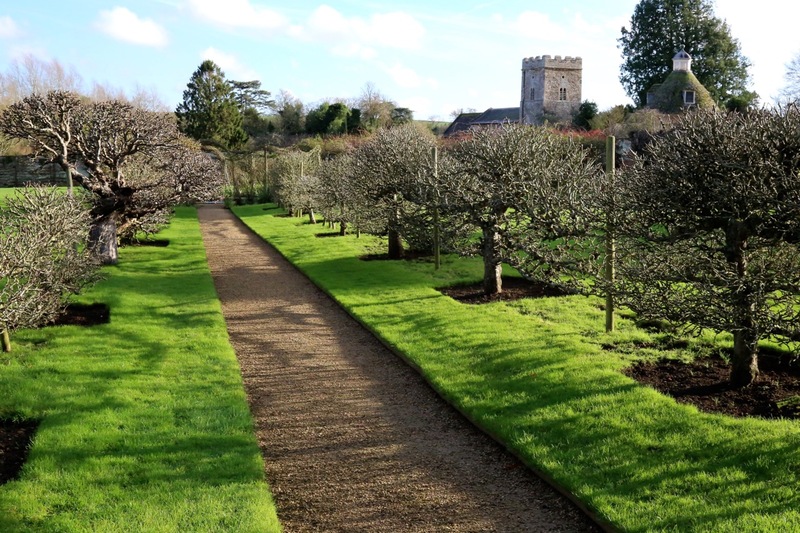 I particularly loved the beautifully tended apple trees along the walk and the walled garden. The pigeon house is gorgeous too. Thank you so much for sharing this. Beautiful photos and beautifully written. Thank you so much for your lovely response Kate, we were thrilled only a handful of people were there too, the peaceful atmosphere was uplifting and quite restorative. What a marvelous garden to visit. I love the walled garden and the rill. Makes me think wistfully if we will ever get back to the UK to see some of the gardens we missed the first time. This is a garden wrapped up in its history Jason, I think you would enjoy it very much. I am still hoping for an opportunity to visit the states and some of your wonderful gardens over there. This definitely looks like a serene place to spend the afternoon. Screaming crowds would have made it miserable so I’m glad the rules are well respected. Hi Tammy, thats an insightful comment, Rousham was certainly serene, I understand some gardens need the visiting revenue but it can be quite miserable with too many folk at the same time. 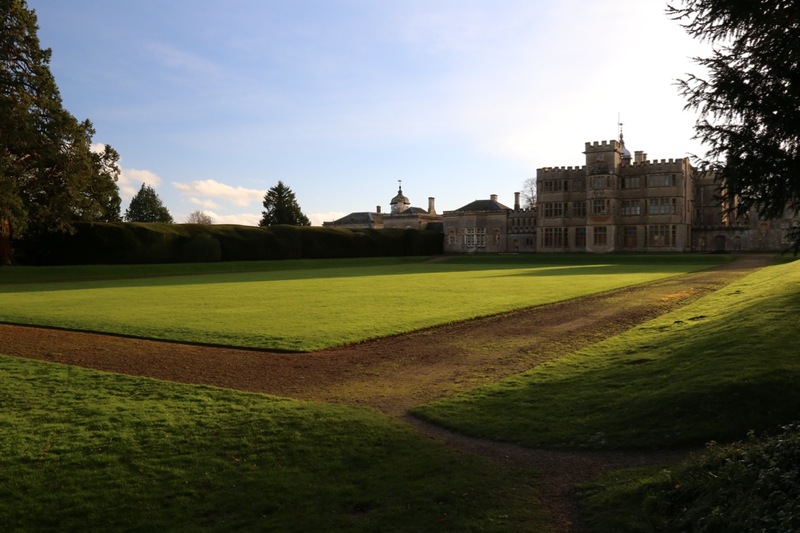 I must say this has got everything from the Octagonal pool to the Serpentine Rill, Apple Trees, walled garden and pigeon house…..fabulous views and you captured so many for us! Thank you for this great tour. 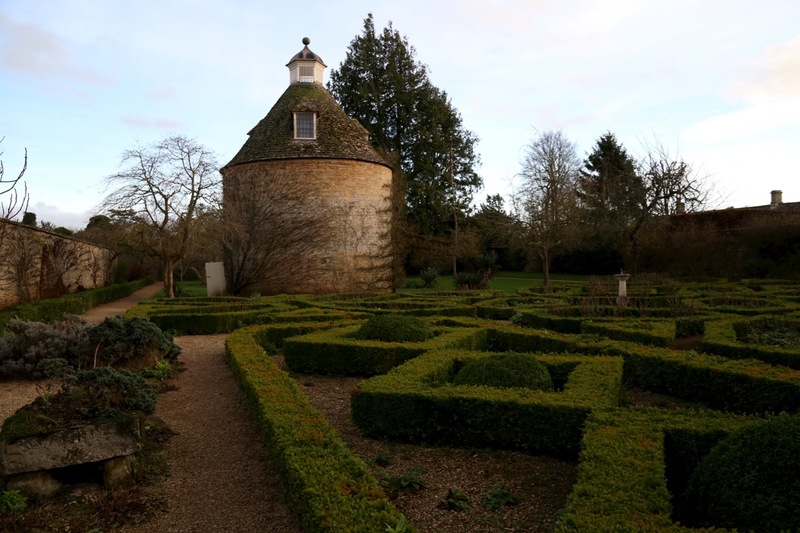 The garden is so well designed structurally–so much interest during the quieter winter season. I love all of your photos, but the one of the Lower Cascade–beautiful! Lucky you! 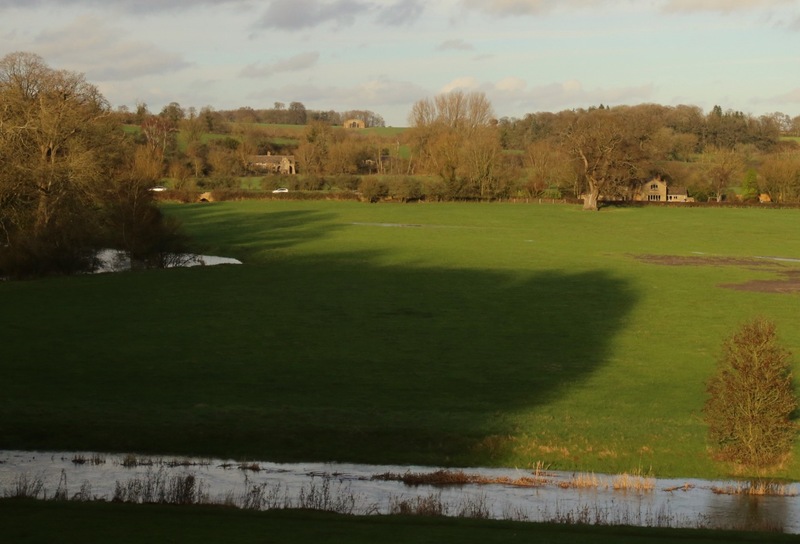 There is some beautiful countryside in your area as well as Rousham! What a beautiful place to visit, and the vistas are wonderful! My real love are the fruit trees though, amazing how large and well tended they are as well as the box and pear espalier. It looks as if it’s a pruner’s garden and one which has been well tended for decades. Nice to have the whole place to yourselves, quite a treat when visiting in the off season. I am a sucker for anything beautifully pruned and especially fruit trees, sadly I did not get to meet the gardener on this visit but they certainly did a beautiful job!